Backwater fishing with Capt. Mike on our 28-foot custom-built fishing cat, Up on Two, is the most stable vessel around, perfect for the expert angler to the newest line siders. Our fishing boat can get where the flats boats can but with twice the room and comfort. 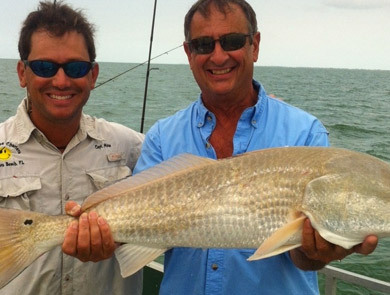 We specialize in light-tackle fishing and bringing home the best fish Southwest Florida has to offer. Of the many fish you can expect to catch, Snook, Redfish, Trout and Snapper are some of the best. We also occasionally catch pompano, shark, ladyfish, spanish mackeral, and more. Capt. 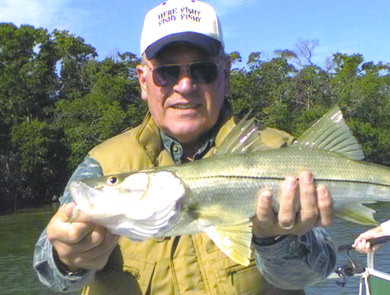 Mike, a Snook Bight Marina Fishing Pro staff guide, is happy to assist you in every way from baiting your hook, casting and cleaning any fish within the legal-size limit. You will probably even catch sight of dolphins and manatee during your fishing charter! How many people can the boat accommodate? Our fishing charter accommodates up to 6 passengers and is a private charter for just your party. What is included in a fishing charter? Aside from an awesome time, our fishing charters include bait, tackle, fishing license and fish cleaning. We will assist you as much or as little as you like, from casting, baiting, and landing. You just bring food, drinks, and sunscreen. What kind of boat is it? Vessel “Up on Two” is a fiberglass power catamaran, looks similar to a pontoon boat. She is 28′ long with a flat deck and is very stable. There is a bathroom and partial shade on board. There are seats available for up to 6 passengers and plenty of room for coolers. Yes, it is and we also have a restroom, and partial shade on the boat for your comfort. Most importantly, bring sunblock! This is the Sunshine State after all 🙂 . Bring your favorite food and drinks. We have coolers on the boat for your use, but feel free to bring your own cooler also. Rain gear is a good idea in the summer months (June-September) if you have it. 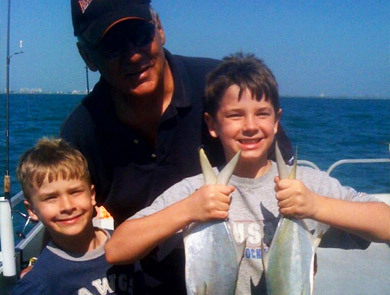 Are the Fishing charters appropriate for children? Yes, our charters and boat are very family friendly for all ages. These charters book up quickly, so call (239) 218-8014 for availability and reservations. Inquiring about a date, or availability does not mean you have a reservation for the date you inquired about. A valid credit card # is required for all charter reservations. Visa, Mastercard or Discover accepted. Cancellations with less than 24 hour notice may result in a 100% penalty. You can also book a fishing charter with our other company, Paradise Charters! Hey what’s up everybody! I am originally from Palm Harbor FL and majored in Hospitality at Florida Gulf Coast University. You will know why I chose this line of work when you meet me lol. I love to show you a great time and ensure you have a fun and memorable experience. Being born and raised in Florida and enjoying the outdoors, I love to share my many stories of adventures I have experienced so far. I love to travel, try new foods, and I am quite the grill master! I am currently, furthering my education by completing the Florida Master naturalist program. I am very knowledgeable about the ecosystems of SW Florida and look forward to sharing my insight with you. 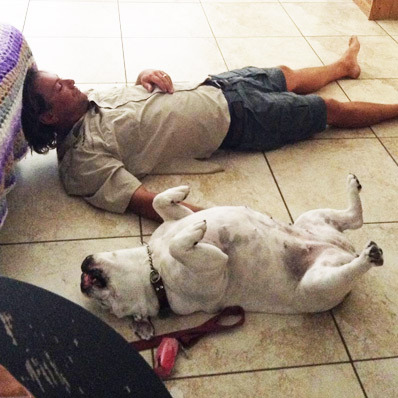 I stay very active in our community, and conduct volunteer work for the Estero Bay Aquatic Preserve. When I am not on tours, I play baseball on a local league and I sure can bring the heat when I pitch! 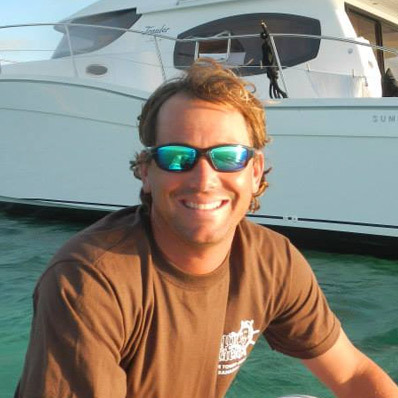 I am a full time fishing guide for Paradise Charters so you will usually see me at the cleaning table between charters. I feel my energy and enthusiasm makes me the perfect addition to our team. Hey everybody! I am originally from Connecticut, and am a former Coast Guardsman. I worked on an ice breaker in New York Harbor before getting a transfer here to defrost on Ft Myers Beach as part of the Search and Rescue team. After my service with the Coast Guard I decided to stay in Fort Myers Beach. 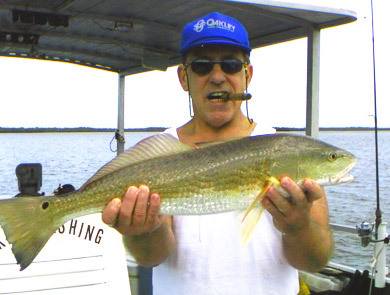 I began guiding in 2003 and am our primary fishing guide. I am a certified Coastal Florida Master Naturalist and am a closet birder lol. Over the years, I have been fortunate to have built up a long list of clients and many return customers. I now book up months in advance and love what I do! The community votes me best backwater fishing guide in Ft Myers Beach and I love to take out kids to get them outside. My patience and hard working ethic contributes to my success as a guide and I work great with all ages and skill levels. 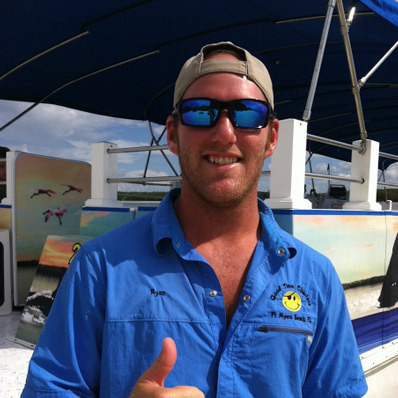 I am very knowledgeable of the local waterways and wildlife and will to my best to provide you and your family with an experience that you will cherish for a lifetime.